Dengue virus is a member of family Flaviridae and is single stranded enveloped RNA virus. It has 4 subtypes named as Dengue-1, Dengue-2, engue-3 and Dengue 4. Dengue virus infection is transmitted through bites of vector, which is a mosquito named Aedes aegypti. This infection is common in rainy season in tropical countries and subtropical regions of the world. The dengue virus is becoming a major threat during the last decade and it is rising at very alarming rate. The spread of Dengue virus is accelerated through changes in climate, which is caused through too much production of carbon dioxide. Dengue virus is infecting around 400 million people around the world. According to WHO reports, there were confirmed 10 million dengue virus infection in 2010 around the world. Recently (2014) the dengue virus outbreak is reported in Japan. Incubation period is 4-10 days after the bites of mosquitoes. Dengue infection results in fever along with symptoms like chilling, headache, pain behind eyes, joint pains, vomiting etc. The symptoms last for 2-7 days. It effects children, adults and with self limiting disease, but in some case, the disease is fatal as severe form of dengue infection is caused through plasma leaking, fluid accumulation, bleeding etc. Warning signs occur after 3-7days of start of infection symptoms and these are abdominal pain, vomiting, blood in vomit. At this stage, there is a need of medical care to avoid the fatality. There is loss of thrombocytes, hence platelets transfusion is given. Dengue virus can be diagnosed with serological and molecular biological methods like PCR. 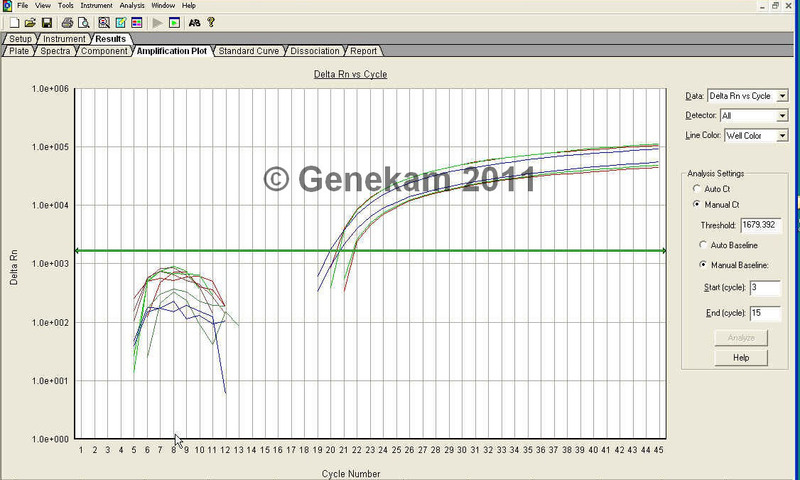 PCR method has advantage over their serological methods, which are prone to cross reactions leading to false results. 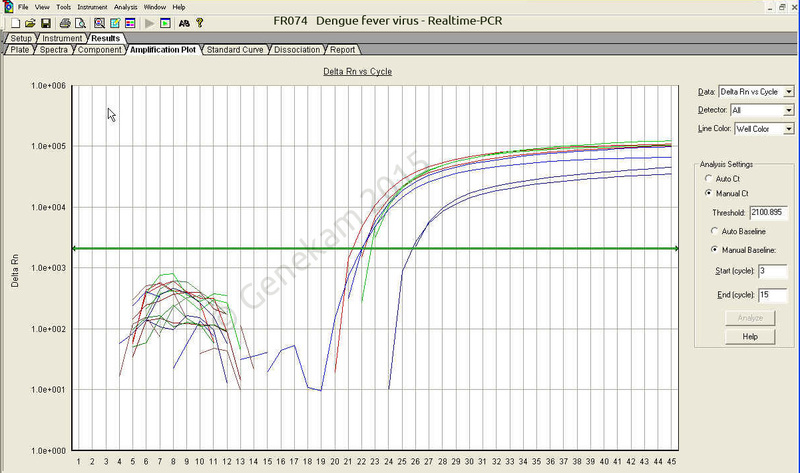 PCR method can be used to differentiate the different strains of dengue viruses. PCR method should be used to differentiate between Dengue virus types and other mosquito borne diseases like malaria, yellow fever virus etc. There is no vaccine and no treatment available for this virus, hence prevention and supportive treatment like fluid therapy, platelet transfusion etc as maintaining the body fluid can reduce the risk of mortality. PCR technology should be used to monitor the presence of virus in mosquito. In case of positive population, mosquito eradication should be used to reduce the infected mosquito population.